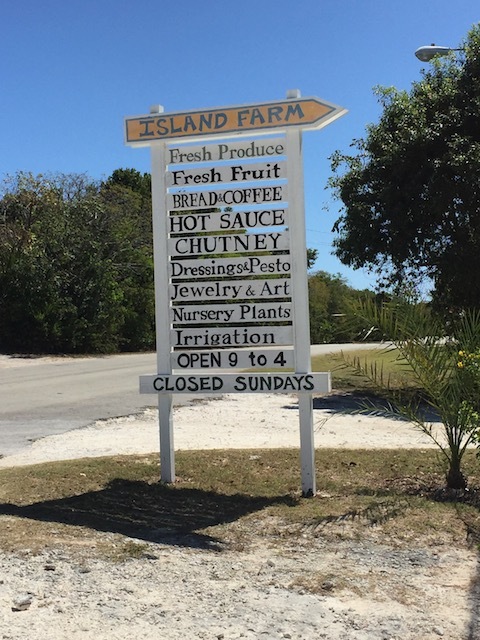 This week I revisited Eleuthera Island Farm to find out more in the very best of Eleuthera series. 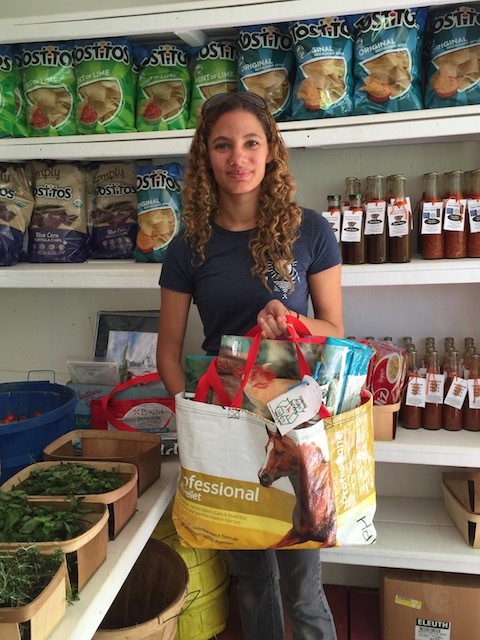 As regular readers of my blog know – I am a big fan of the farm and I have been noticing quite a few new products on their shelves – so I decided to spend a bit of time with Ria – daughter of owners Anne and Clyde Bethel – to talk about new items……. The lovely Tereca was at work inside so I didn’t get to see her – but she and Ria have worked together to add more goodies to the shelves. Opening hours are now Monday – Friday 9am – 4pm and Saturday 9am – 6pm. 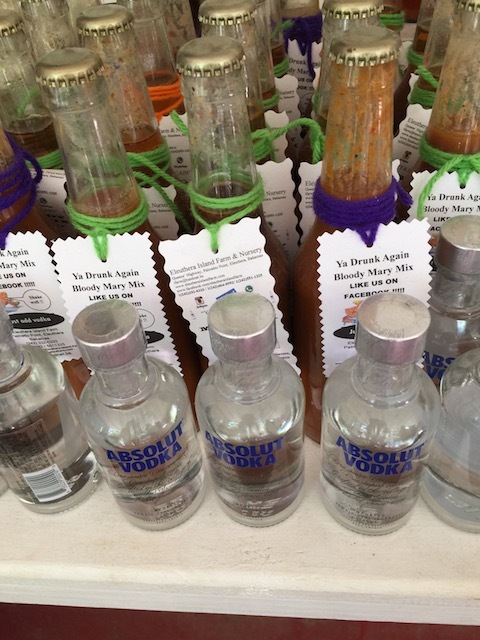 The first thing that I noticed was that they now sell beer and wine – along with small bottles of Absolut vodka to go with the bottles of Bloody Mary mix. I love a good Bloody Mary and also a Bloody Caeser which is made with clam juice added so I will look forward to trying that ! There are all sorts of new relishes and jams on the shelves – cucumber relish, caramelized scallion relish which I couldn’t resist buying – roasted tomato ketchup – eat your heart out Heinz !! – fire oil – maybe I will go easy on that one ! – sapodilly jam , guava jam – both using island fruits – and all the usual products they have produced like bottled tomatoes , pasta sauce and lots of marinades. They have a particularly good dipping oil at the moment which is perfect for the fresh bread produced on Tuesdays and Fridays. 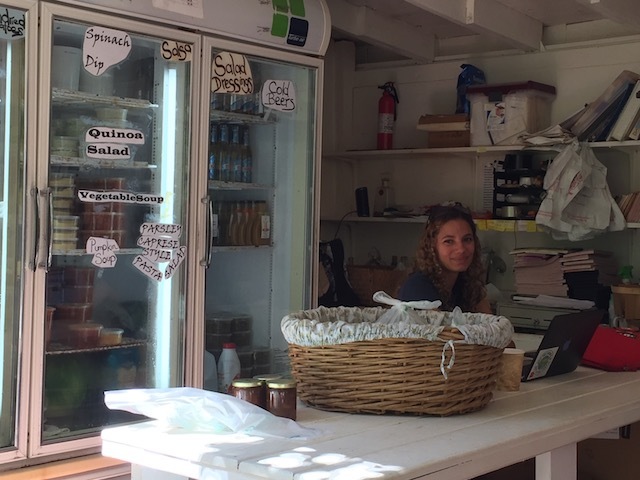 Anne and Tereca get up at 3am to make the bread twice a week – 3am !!! The bread has to rise for 3 hours before baking it and so in order to get it ready for the long line of people waiting at 9am they start in the middle of the night …… I always try to remember to say thank you ! Of course sometimes we have good periods for certain herbs and other times not. It has been so dry that the basil is very poor this year. That means no pesto at the moment. This is one of my favorite products from the farm – spread on bread and drizzled with oil and topped with some chopped tomato then quickly heated through in the oven – one of the best bruschetta to be had. Living here does keep you very much more in tune with what is seasonal and available – and we have to cope with being disappointed if our favorites are not there ! 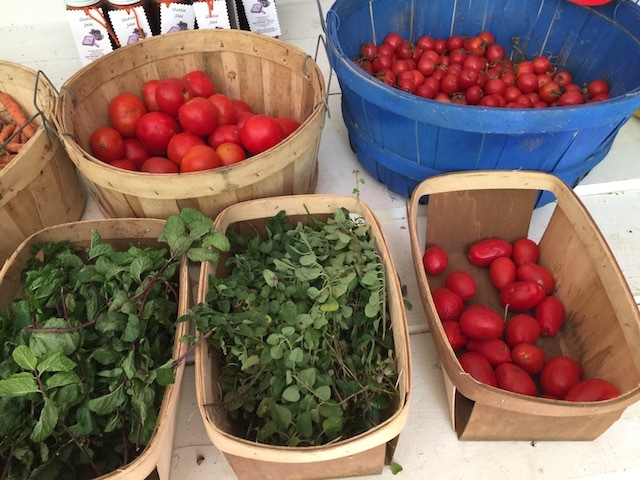 Those tomatoes are as sweet as anything….. In the chiller there are soups – pumpkin and also vegetable. Sun-dried tomatoes which again are a delight to add to all sorts of pasta dishes as well as an alternative topping for bruschetta. There is lemon dill butter – perfect for slow poaching fresh caught fish or lobster tails. Make the most of the spiny lobster tails because closed season starts on April 1st. Why is it that as soon as you know that something is not available it makes you crave it more ! Anyway back to the farm – pickled chinese cabbage, Island Farm’s version of kimchi, salsas, spinach dip and hummus are all in the chiller. And one of my major favorites is their homemade granola. I love it because it is not too sweet and also it doesn’t have any dried fruit in it – nor any cinnamon ! – Now I realize I am very picky – right ? The other day day I picked up a parsley caprese style pasta salad from their fridge – absolutely delicious – and sometimes they have spinach quiches. Quiche is a favorite of mine – I can never have to too much pastry – and it will be featuring in my recipe selection of quick and easy things to cook here in Eleuthera – all in my head at the moment but about to make it onto paper very soon ! You can recycle clean clear glass beer bottles as well as Island Farm glass jars at the farm – but do please note – no colored glass, no wine bottles and no plastic. 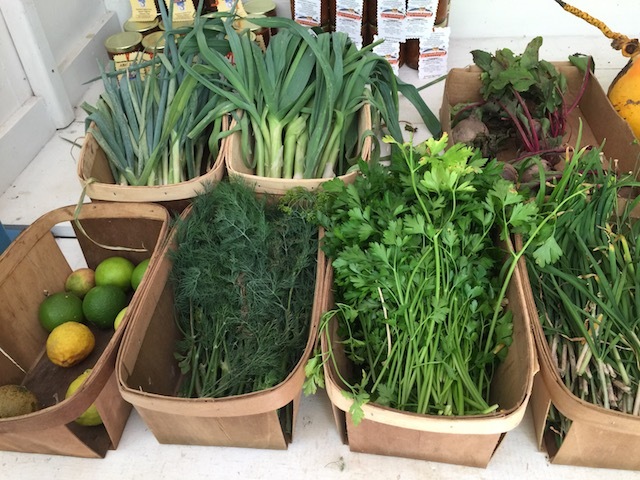 The recycling is purely for products that they make at the farm so please do not make their work load any harder …. I was also delighted to see that they are selling shopping bags. The use of plastic bags is something I feel strongly that we need to stop as much as possible. There is such a great selection of folding nylon bags that can be slipped in a purse or pocket – I always carry at least 3 with me ! – who knows when you might need them…… The ones they have at the farm are very sturdy – not cheap at $30 but the money goes to assorted charitable causes.